Representatives from the Merton Safeguarding Children Board came together this week to unite in their commitment to the borough’s most vulnerable children and their families. 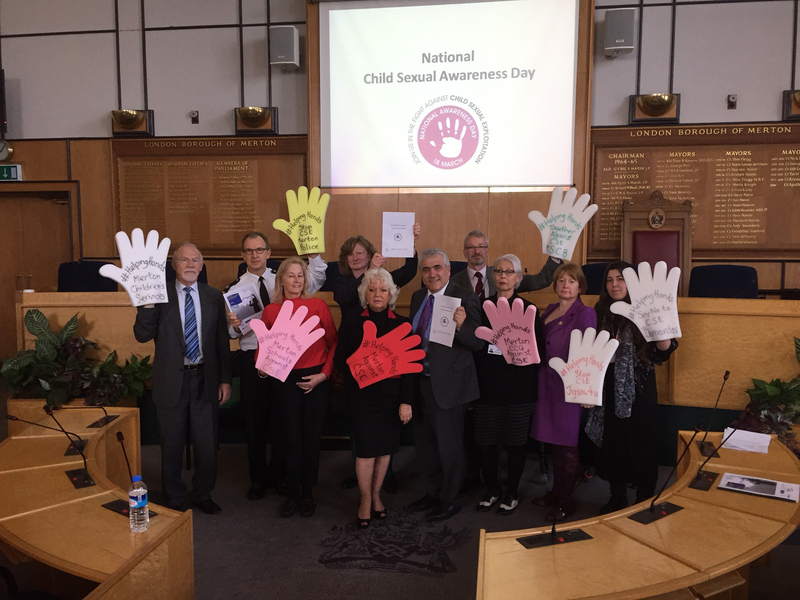 The show of support in the council chamber was part of national Child Sexual Exploitation Awareness Day (18 March). Merton’s police officers, social workers, teachers, health professionals, voluntary sector workers, councillors and others who work closely with young people and families, signed up to the national Helping Hands Pledge, standing united with residents in their fight against child sexual exploitation and their mission to make Merton a safe and secure place to grow up, where young people can get the support they need to take control of their lives. Over the course of the day more than 120 people visited the council chamber to listen to the agencies represented. Merton’s work with the most vulnerable young people in the borough and the nine principles all the agencies involved have committed to is now published on the Merton Safeguarding Children Board website as part of the borough’s Child Sexual Exploitation Strategy. The principles ensure the young person is at the centre of the decisions and actions the board takes with the reassurance they are involved in the decision-making process and are empowered to take charge of their future. Presentations were given by Emma Bradley, one of the council’s young women and girls key workers: I love him what’s your problem? : Supporting Girls vulnerable to child sexual exploitation and Maria Ellery from the Clinical Commissioning Group: Sexual Exploitation: the role of health. Three CEOP (formerly the Child Exploitation and Online Protection Centre) films were also shown: Exploited, about staying safe in the real world, Exposed and Matt thought he knew, both about staying safe online. 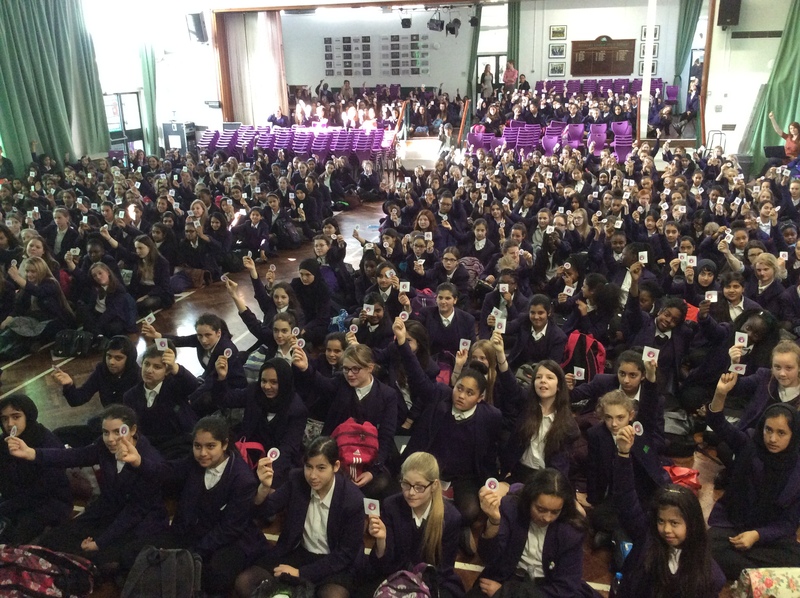 Schools around Merton gave their own assemblies to address child sexual exploitation and will be providing information and support to pupils who may be concerned about a friend or another child at their school, or who feel they may need help themselves. Each Merton secondary school including the academies and special educational needs schools, have a teacher especially trained to deal with child sexual exploitation issues. Pupils, staff and parents can go to them for help, advice and support.